Ever heard the phrase, “Nice Guys Finish Last?” Well, it seems like it’s true, even in the Bible. As we peruse the Old Testament, there are some guys who get put in the back of the order. 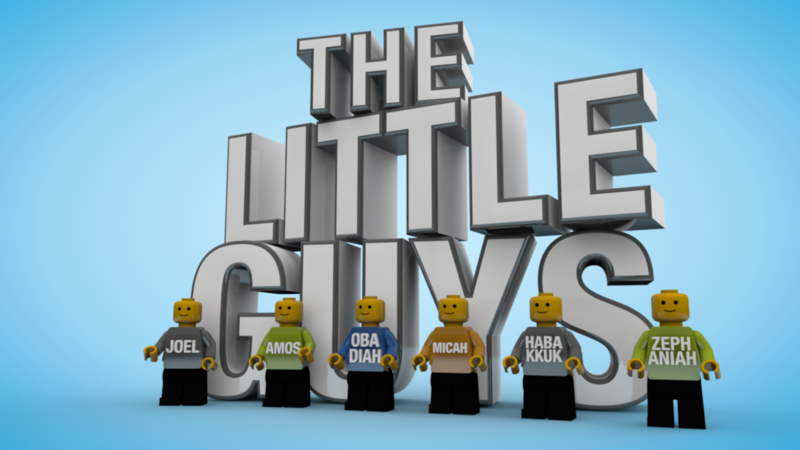 They’re smaller, not as many words, they’re well, the “Little Guys.” They may not get much attention, but have great stories that we can learn from. When we know where we’ve been, we can learn form it and move forward in a better direction. Let’s get to know our history. Let’s move “The Little Guys” to the front of the pack.